Leicester-based architectural practice, rg+p has been appointed in a multi-disciplinary capacity on the city’s major new sustainable urban extension scheme, Ashton Green. The firm has been retained as architects, master planners, urban designers, planning consultants and landscape architects on phase two of the project, which will deliver 305 residential dwellings. Rg+p will work alongside Leicester City Council and developer, Kier Living to deliver the £85m scheme. Ashton Green is an ambitious and significant regeneration project situated on the northern outskirts of Leicester. Proposed by Leicester City Council, Ashton Green represents the most substantial, mixed use development in the city for more than 30 years and includes the provision for up to 3,000 new homes together with community and health facilities, employment land, retail space and approximately 13 acres of green open space and wildlife corridors. Phase two at Ashton Green will see both private residential and affordable housing created, including a mix of one and two bedroom apartments as well as two to five bedroom homes. 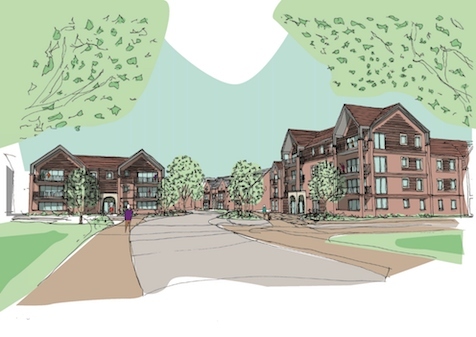 Kier Living and rg+p will host a public exhibition to showcase designs and seek feedback from the local community on Friday 23rd March, 4.30pm – 7.30pm at Glebelands Primary School ahead of a reserved matters planning application being submitted. Work is estimated to commence on site in spring 2019.